using our easy, online order form service. 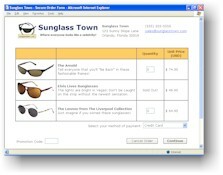 Why pay for complex shopping cart software when all you need is a secure online order form? Try PrestoForm Now! 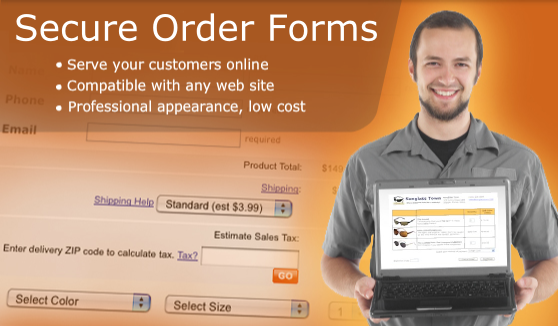 PrestoForm automatically creates and hosts an online order form for you. Simply link your order form to your web site or e-mail campaign. Manage your orders by logging into your secure PrestoForm account. PrestoForm has no setup fees or long-term contracts. You pay monthly and can cancel at anytime.